This is a great option for couples who want something distinctive and exciting for their big day. 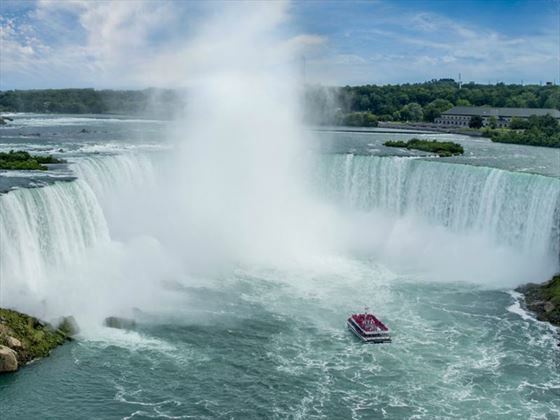 A wedding on board the Hornblower Niagara Cruise offers an experience that can’t be beaten – a great way to begin your lives together as husband and wife. 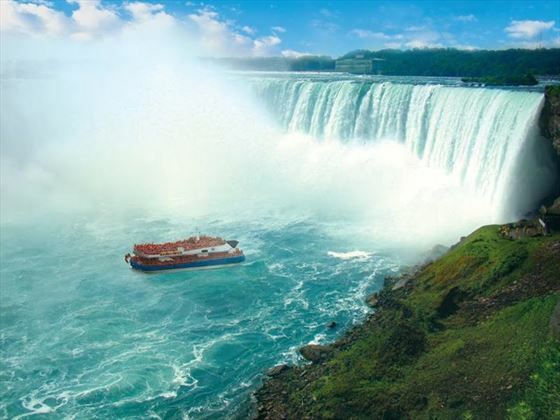 The legendary Full Mist experience boat tour has been thrilling millions of visitors for more than 150 years. 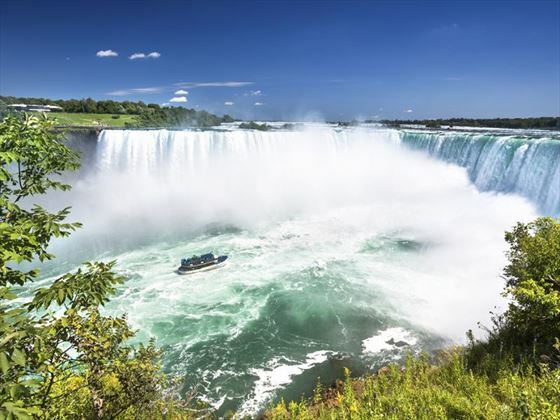 Our Voyage to the Falls tour provides an up-close viewing of the magnificent Great Gorge, American Falls, Bridal Veil Falls and of course the mighty Horseshoe Falls. 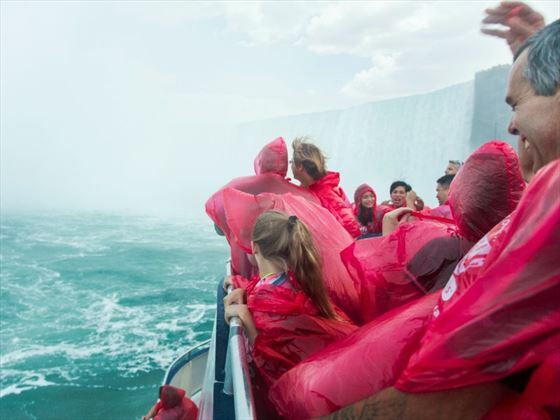 You’ll experience the thundering roar, awesome power and amazing mist of the magnificent Niagara Falls. Weddings performed daily, from 1st May - 30th November (subject to weather conditions). 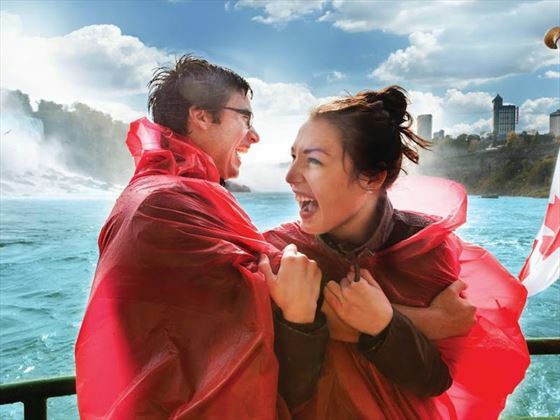 Have your family and friends join you on board from just £20 per person. Legally you could get married the same day as you arrive! However, we recommend you have a couple of days to get used to any time change and orient yourselves. 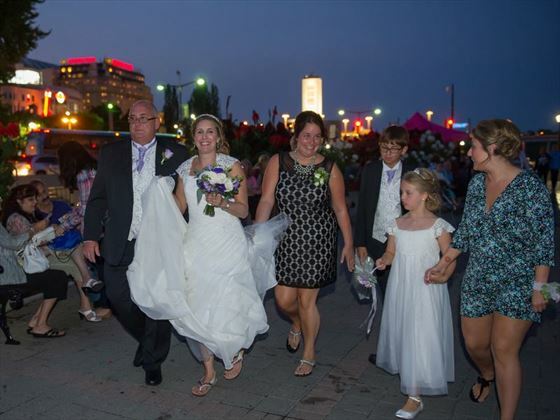 You can apply for your wedding licence online before arriving into Niagara (cost of the licence is not included and is paid for when collecting your licence from Niagara Falls City Hall. The marriage is valid for 3 months from the date of issue. If you have been divorced, then the previous marriage dissolvent must be recognised in Ontario. 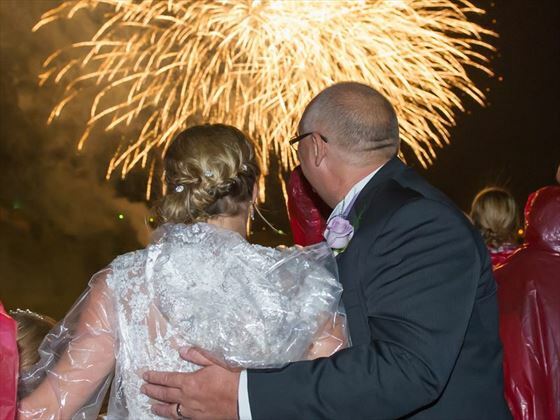 Generally, the Wedding Planner will take the decree absolute across to Canada, swear an affidavit with a lawyer who then sends a copy of the decree with a letter that states in their opinion the divorce is legal and should be recognised. Then, the Ontario department concerned sends back a form stating the divorce is recognised. This can take a while but is generally done within 3 weeks of swearing the affidavit. There is a charge for this from CAD$170. Please do advise us if you have been previously married.